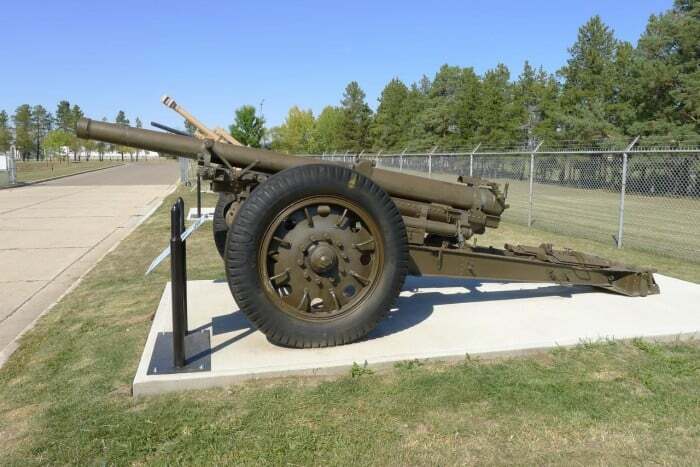 The Model 1936 (mle 1936) 105mm Schneider quick firing gun was introduced just prior to World War II. The gun was produced with rubber tires for vehicle towing by the French Army and with wooden wheels for horse-drawn transport by the Romanian Army. Some 159 had been produced by the time war broke out. During World War II, Romania was the second largest contributor of Axis troops to the Eastern Front after Germany. The Model 1936 was used by the Romanian Army in that theatre 1941-44, including during the battle of Stalingrad. Germany used most of the examples captured from France in 1940 for coast defence along the Atlantic Wall, guarding against the Allied invasion renaming it the 105cm K332.